Need more information on Multidrink SRL Franco Cestone located in Italy? If you’re considering doing business with this company, read below to read one buyers experience with when they were looking to source Heineken Beer from them. You will also find some links to help you find more related information about Multidrink SRL Franco Cestone on Supplier Blacklist and on Google as well as other bad suppliers of Heineken Beer reported here on SBL. The below company is a professional scammer. Cheat more then 20 people, which Iam contact with then. Goods !!! The company owner do not Anwer calls! So we put a claim through our lawyer in Italy. People, please do not send any fund !!! Buy only from ready stock!!!!! Need More Info on Multidrink SRL Franco Cestone? 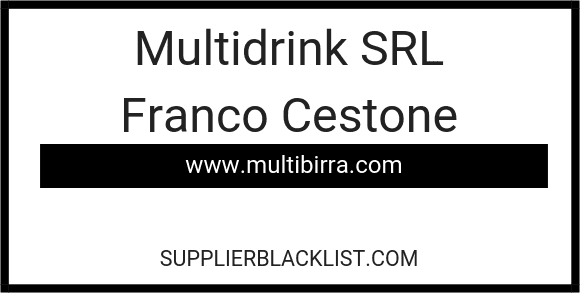 If you need more information, you can click the below links to search for more submissions about Multidrink SRL Franco Cestone on Supplier Blacklist as well as go to the search results page on Google for more reviews online about this company. Perform a Supplier Blacklist search for more reviews on Multidrink SRL Franco Cestone. Search Google for Multidrink SRL Franco Cestone Reviews. It’s allways the same way of cheat from Multidrink SRL with Ceo franco cestone and Anick Hendrix his wife to collect fund and then they don’t delivery. Please see down the bank statement of our deposit! See also out other comments! Bring this to end ! End of scam of mr cestone! Please do not provide any deposit, buy only stock Goods! 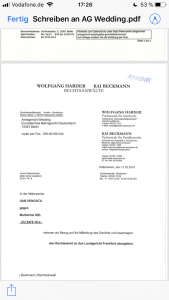 Mr Cestone and his Groupis are high professional scammers and the German police work on this case. For any questions please contact me . Attention please.! Do not deal with this company!